12.5" RCOS @ ~f/9 (2880 mm fl) 1.28 arcsec / pixel. The Zoomify image scale is 1.28 to 3.07 arcsec / pixel. Ha:OIII:OIII mapped to r, g & b. 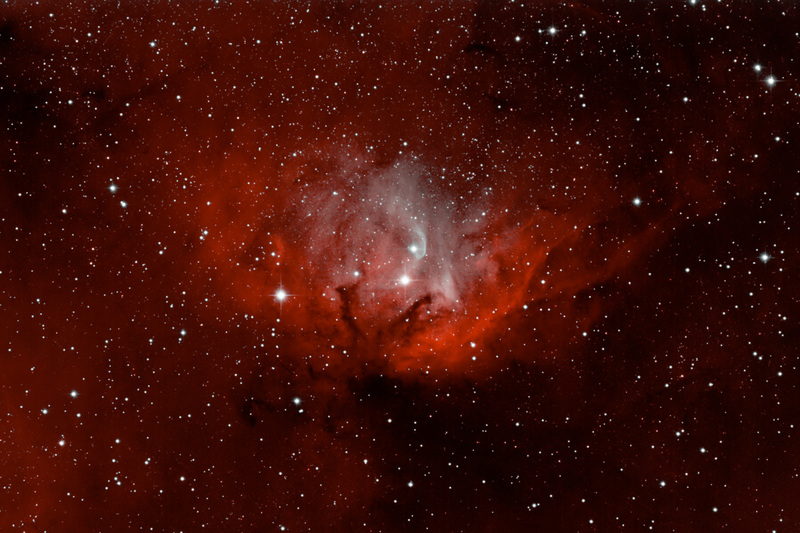 The Tulip Nebula, or Sharpless 101 (Sh2-101) is located in the constellation Cygnus. The emission nebula is about 6,000 light-years for Earth. It was catalogued by astronomer Stewart Sharpless in 1959. This synthetic color image is similar to the true RGB color.